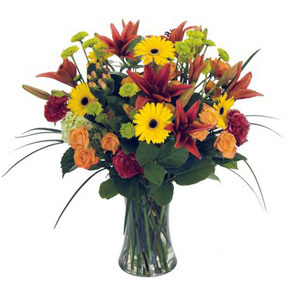 Petal Pushers Florist is your quaint neighborhood florist. Nominated in 2009 for "Best of Burnaby". We take pride in assuring quality and freshness behind every order. Open 7 days a week, with delivery to the surrounding hospitals and funeral homes; Burnaby General, VGH, Royal Columbian, and Ocean View,and Forest Lawn Cemeteries. Feel free to contact us with any inquiries you may have. Service, and Flowers, were exceptional. Thank you. very happy with the service provided. My aunt was delighted with the flowers,many thanks. 12 long stem roses and foliage in glass vase. 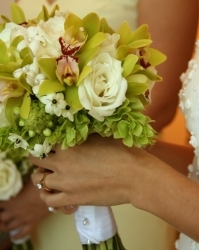 You may request your preferred color choice, and or with babys breath. Something different and sweet with pink roses and spring colors. . Get fresh! 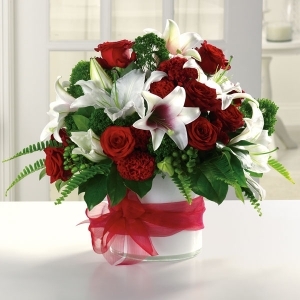 This remarkable selection of extraordinary flowers in rich reds and luxurious whites in an elegant clear vase is a classic Valentines gift that is perfect for that special someone. Each floral arrangement is constructed with hand selected fresh cut flowers and will arrive at the peak of perfection. 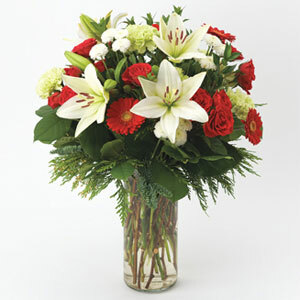 The beautiful floral arrangement includes Casablanca lilies, carnations, mini Gerber daisies and red roses. Three single red roses and foliage in small glass vase with filler. A gorgeous mix with lots of variety, roses, tulips, lillies, heather or wax flower. A blaze of color ideal for all occassions.